WZTV meteorologist Katy Morgan was verbally attacked online after she broke into “The Masked Singer” (how dare they!) 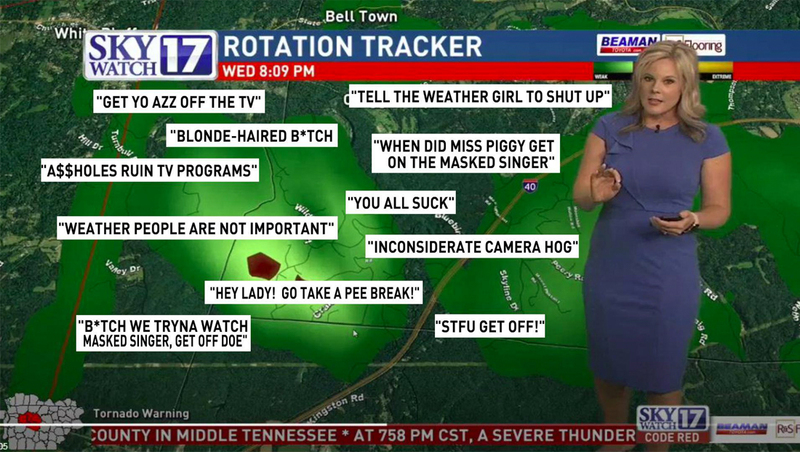 for severe weather coverage in the Nashville market — and Morgan decided to put her weather computer to good work to create a different kind of weather map. The new map Morgan whipped up show a map of the viewing area with white boxes containing “some” of the comments she received. “The Masked Singer,” in case you don’t know, is a show where celebrities, completely covered in an elaborate costume, sing in front of a panel, who spend most of the time whispering speculation and comments on the performance. You know, real life altering and educational television. 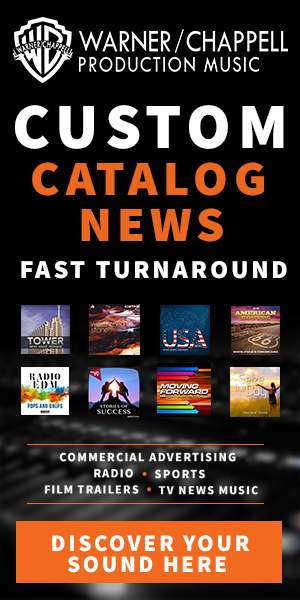 As Morgan puts it in her tweet, “I will always put lives ahead of a TV show.” There are a variety of ways and reasons local TV stations “cover” network programming due to the weather. The area experienced flooding yesterday that killed two people.